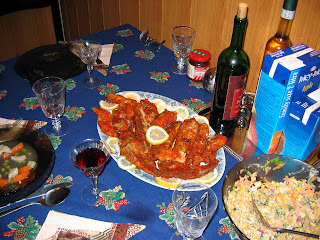 Hekk is one of our favorite fish in Hungary. If you travel to Lake Balaton you find many fried hekk vendors. Mostly we eat hekk like fried fish in flour pepper coating with French fries or with salads, but on the last week-end I created a new Hekk recipe. I rolled the slices of hekk with bacon and baked. We ate with Mexican steamed mixed vegetables. It was delicious.